Home / Entertainment / Game of Thrones season 8 cast: Who is Marc Rissmann? Who plays Harry Strickland? 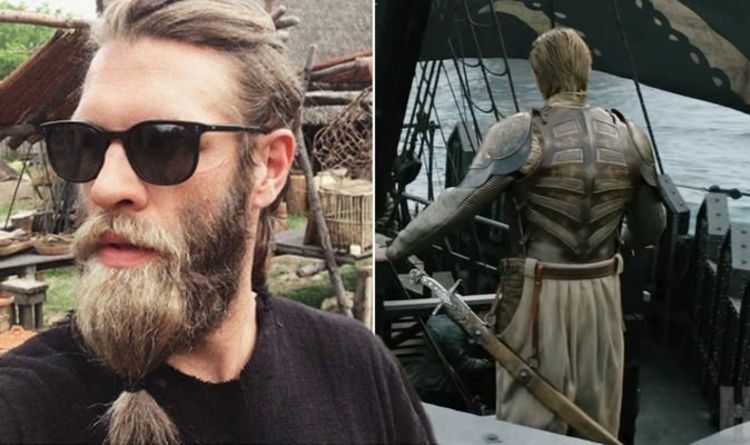 Game of Thrones season 8 cast: Who is Marc Rissmann? Who plays Harry Strickland? Plot details and spoilers for the final series of Game of Thrones are being kept well under wraps, so it’s difficult to say how long Harry Strickland will be on our screens. George RR Martin did include Harry Strickland in the Game of Thrones books, however, so there is plenty of information about the character fans will already know. Daenerys is currently heading north with Jon Snow (Kit Harington) for the ultimate battle against the White Walkers and Cersei, with the help of Euron Greyjoy (Pilou Asbaek), will use Harry Strickland to fight behind her back. Cersei had agreed a truce with Daenerys in the season seven finale but herself, Euron, and Harry will undoubtedly provide an unpleasant surprise for the Mother of Dragons in the new series. The star-studded cast of Overlord saw Rissmann work with Game of Thrones colleagues Asbaek and Jacob Anderson (who plays Greyworm in GOT). The Game of Thrones newcomer has directed music videos for German singer Anna Naklab, Alle Farben, and Younotus.